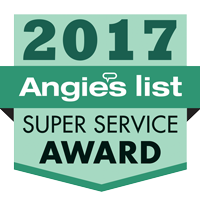 Angie's List 2017 Super Service Award - Cornerstone Roofing, Inc. Cornerstone Roofing, Inc. is proud to announce that we has earned the home service industry’s coveted Angie’s List Super Service Award (SSA) for the tenth year in a row! Over the past decade, this award honors service professionals who have maintained exceptional service ratings and reviews on Angie’s List in 2017. 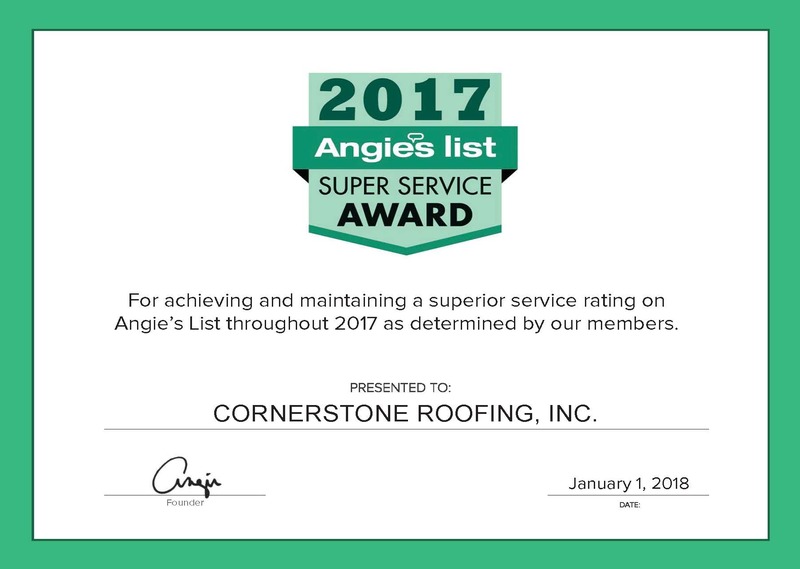 On behalf of the entire team at Cornerstone Roofing, Inc., we are very grateful for this recognition from Angie’s List and so thankful to our customers for make this possible for the last decade!